With one album--no, one song ("Shook Ones, Pt. 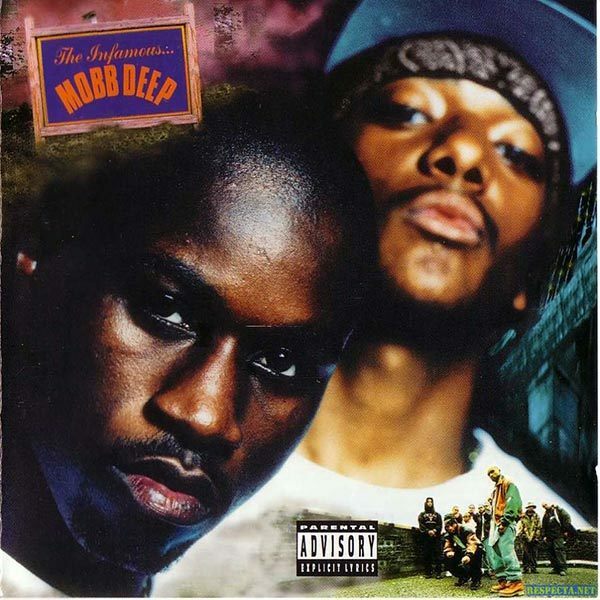 2")--Mobb Deep went from gimmick kiddie rap duo to hip-hop's dark horsemen of the apocalypse. Gritty and nihilistic, Prodigy and Havoc ushered in a post-gangsta era of reality rap that privileged vivid street narratives over mere drive-by posturing. As well, production by themselves and guests like Q-Tip (who did the jazzy "Drink Away the Pain") kept the soundscape moving beyond just the dissonant drone of "Shook Ones." "The Infamous" captured Mobb Deep at the beginning of their rebirth, before their formula became redundant.